Flaxseed oil and fish oil contain important dietary fatty acids that have multiple health benefits, including prevention or treatment of dry eyes. Other benefits include a lower risk of heart disease and a reduction of chronic inflammation that can lead to a variety of serious diseases, including cancer and stroke. Chronic inflammation also has been indicated as an underlying cause of osteoarthritis and Alzheimer's disease. Daily supplements of flaxseed oil or fish oil, when used alone or in tandem with lubricating eye drops, appear to reduce dry eye symptoms, including burning, stinging, redness and intermittent visual disturbances. 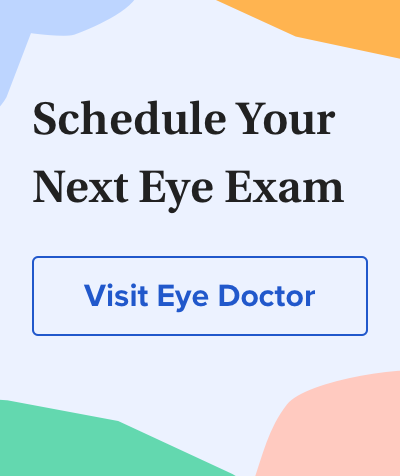 For this reason, many eye doctors now are recommending flaxseed oil and fish oil supplements for their patients who suffer from dry eyes. So which is better — flaxseed oil or fish oil? The nutritional value of flaxseed oil (and fish oil) comes from its omega-3 fatty acids that are needed for optimum health. Flaxseed oil contains high levels of an omega-3 called alpha-linolenic acid (ALA). During digestion, ALA is converted into two different omega-3 fatty acids — called EPA and DHA — that are used throughout the body to protect cell membranes. Flaxseed oil supplements are available both in capsule and liquid forms. Although flaxseed oil capsules are more convenient, you may need to take a large number of capsules to achieve the daily dose your eye doctor recommends to treat dry eyes. The nutritional value of flaxseed oil is easily destroyed by light, heat and oxygen. When purchasing liquid flaxseed oil, look for a cold-pressed variety and keep it refrigerated. As an alternative to flaxseed oil, you can get the same omega-3s by grinding whole flax seeds in a coffee grinder and sprinkling the ground seeds over a salad, adding them to a smoothie or mixing them in fruit juice. If you choose this option, be sure to use the seeds immediately after grinding them to get the full omega-3 benefits. Popular eye vitamins that contain flaxseed oil include: TheraTears Nutrition (Advanced Vision Research), Dry Eye Formula (EyeScience) and Tears Again Hydrate (Ocusoft). Fish oils and fatty fish — such as salmon, tuna and sardines — are excellent food sources of omega-3 fats essential to brain and eye health. Fish fat contains the "long chain" omega-3s (EPA and DHA), which are the omega-3 fats the body needs for vital functions, including eyesight. In contrast, the "short chain" ALA omega-3 fat found in plant foods such as flaxseeds must be converted to EPA and DHA in the body for beneficial eye effects. When you eat plant foods, your body converts only about 5 percent of dietary ALA into essential EPA and DHA. Also, most Americans' diets are too high in omega-6 fatty acids — an imbalance that further reduces the amount of ALA from plant foods that gets converted to EPA and DHA. This imbalance also blunts the benefits of EPA and DHA omega-3s obtained directly from fish and fish oil. Omega-6 fats are found in vegetable oils (corn, soy, cottonseed, safflower and sunflower) used in most snacks and prepared foods — whether packaged, frozen, restaurant or take-out. Researchers agree that most people need to reduce their consumption of these otherwise healthful omega-6 fats, which block omega-3 absorption and promote inflammation when eaten in excess. Fish oils, like flaxseed oil, are available in capsule and liquid forms. Some contain lemon flavoring or are processed in other ways to reduce any "fishy" taste. Cod liver oil is another good source of EPA and DHA omega-3 fatty acids. A more enjoyable way to obtain fish oil benefits is by eating grilled cold-water fish at least three times a week. Good sources of EPA and DHA omega-3s are salmon, sablefish, tuna and halibut. Popular eye supplements that contain fish oil or cod liver oil include: TheraTears Nutrition (Advanced Vision Research), BioTears (Biosyntryx) and HydroEye (ScienceBased Health). So Which Is Better: Flaxseed Oil Or Fish Oil? Because fish oil contains natural EPA and DHA omega-3s (that don't have to be converted from ALA), many nutrition experts recommend fish oil over flaxseed oil. Grilled salmon is an excellent source of omega-3 fatty acids to fight dry eyes. If you are a vegetarian, ground flax seeds or flaxseed oil will likely be your preferred choice. Ground flax seeds are more economical than either fish oil or flaxseed oil supplements. The U.S. Food and Drug Administration (FDA) classifies omega-3 fatty acids from fish as GRAS (Generally Regarded as Safe). However, fish oil can cause stomach upset and/or diarrhea in some individuals, especially in high doses. Other possible side effects include increased burping, acid reflux, heartburn and abdominal bloating or pain. Risk of these side effects can be minimized if you take fish oils with meals and if you start with low doses. A fishy aftertaste is common with some fish oil supplements. This can be reduced by refrigerating the capsules or liquid, or by purchasing brands that promise no such problems. Concerns about mercury poisoning from fish oils generally are unfounded. When present in waterways, methylmercury accumulates in fish meat more than in fish oil, and testing of fish oil supplements show they generally contain little or no mercury. Still, if this is a concern, using flaxseed oil as an alternative eliminates this issue. As with any nutritional supplement, it's a good idea to consult with your family physician or eye doctor before taking significant quantities of flaxseed oil or fish oil for dry eyes. This is particularly true if you take any prescription or non-prescription medicines, as adverse drug interactions can occur. Be especially careful if you take blood thinners (even aspirin), as both flaxseed oil and fish oil can increase the risk of bleeding and reduce blood clotting when used along with these medications. Long-term use of fish oil may cause a vitamin E deficiency in some individuals. Therefore, it's a good idea to look for fish oil supplements that also contain vitamin E, or take a multiple vitamin that contains this vitamin if you take fish oil supplements for dry eyes. Dietary fatty acids and the 10-year incidence of age-related macular degeneration. Archives of Ophthalmology. May 2009. Omega-3 fatty acids, fish oil, alpha-linolenic acid. Medline Plus, a service of the U.S. National Library of Medicine (NLM) and the U.S. National Institutes of Health (NIH). March 2008. Topical omega-3 and omega-6 fatty acids for treatment of dry eye. Archives of Ophthalmology. February 2008. The relationship of dietary lipid intake and age-related macular degeneration in the Third National Health and Nutrition Examination Survey, 1988 through 1994. Archives of Ophthalmology. May 2007. Effects of omega-3 fatty acids on serum markers of cardiovascular disease risk: A systematic review. Atherosclerosis. November 2006. Improvement of dry eye symptoms with polyunsaturated fatty acids. French Journal of Ophthalmology. October 2006. Omega-3 fatty acid treatment in 174 patients with mild to moderate Alzheimer disease: OmegAD Study. Archives of Neurology. October 2006. Dietary fat intake and early age-related lens opacities. American Journal of Clinical Nutrition. April 2005. Essential fatty acids in health and chronic disease. American Journal of Clinical Nutrition, September 1999. Flax. Alternative Field Crops Manual. Department of Agronomy, Soil Science and Agricultural Engineering, University of Wisconsin (Madison, WI) and Department of Agronomy and Plant Genetics, University of Minnesota (St. Paul, Minn.). November 1989.